‘A is for armoured train’ is the first sentence in the first ever Ladybird book. It was published 100 years ago. The Ladybird trade mark was registered on December 29th 1915 for ‘picture books’, as the Allies’ final evacuation from Gallipoli got underway. Somewhere, in the midst of all that destruction, a positive idea became real. Ladybird books had to wait for another World War before its next truly inventive step. Faced with shortages and rationing, designers at Wills and Hepworth (the original Loughborough-based owners) worked out a way of getting a 56 page children’s book out of single sheet of 30x40 inch paper. Perhaps, when ‘Bunnykins Christmas Party’ appeared in 1940, it became clear that the Luftwaffe had no chance. 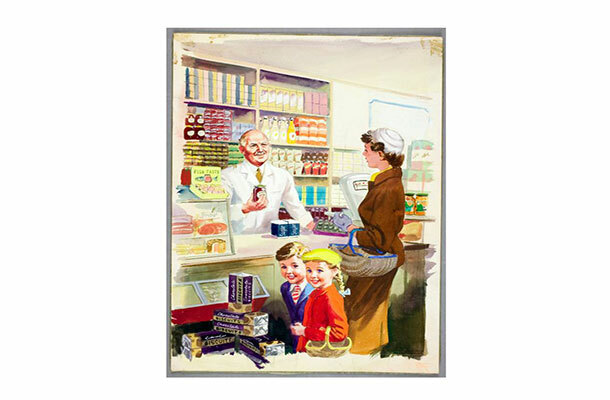 The Ladybird brand is rooted in the wartime virtues of value for money and optimism, lots of it. Austerity and necessity may have been Ladybird’s parents, but Ladybird books grew to maturity. They described an age of increasing wealth, social cohesion and scientific discovery. After the war, editorial director, Douglas Keen assembled a team of the best artists and illustrators available. Charles Aitcheson, Robert Ayton and Henry Wingfield brought raw talent to the pages of Ladybird books. The 1950s ‘60s and 70s became the golden age of Ladybird books. From Ladybird’s ‘Shopping with mother’ Copyright (c) Ladybird Books Ltd.
TV presenter James May says that his first trip to the public library at the age of 5 introduced him to “the greatest writing in the English ­language. The complete works of Ladybird”. For others the graphic images didn’t reflect an era, they defined it. Ladybird’s positive, family orientated, inquisitive titles touched on a vast array of subjects. From early years reading books, to fairy stories, to explanations of satellite technology, cars and jet engines. Ladybird transmuted the world of mutually assured nuclear destruction into a warm, friendly and supremely British version of reality. By the 1960s Ladybird books were so highly regarded that the MoD was sent 200 copies of ‘How it works: the computer’ (in plain covers) to explain how what the new machines could do for its staff. Lawrence Zeegen is Dean of School of Design and the London College of Communication. He is also author of ‘Ladybird By Design’, a fascinating insight to the 100 year history of Ladybird Books published by Penguin books. He is also the co-curator of an exhibition of Ladybird’s designs at the De La Warr Pavilion, Bexhill on Sea. For Zeegen,Ladybird was anything but anostalgic brand. Its original reading schemes were designed by cutting edge educationalists. Moreover,its iconic images brought pride and a touch of glamour to the world of work which, today, shine through like beacons. To date, since it was first published in 1964, Ladybird’s Key Words reading scheme has sold 95 million copies worldwide. Ladybird's remarkable history illustrates the durability of brands, the importance of top quality designs and the benefits of a low price. Created in the midst of the two World Wars, the brand came to represent Britain at peace. These days, as part of the Penguin Random House publishing empire, Ladybird books are as fresh as they ever were. Ladybird’s modern icons are Topsy and Tim, Peppa Pig and the In the Night Garden. The brand has expanded from its original specification of ‘picture books’ into a multi-platform narrative experience. 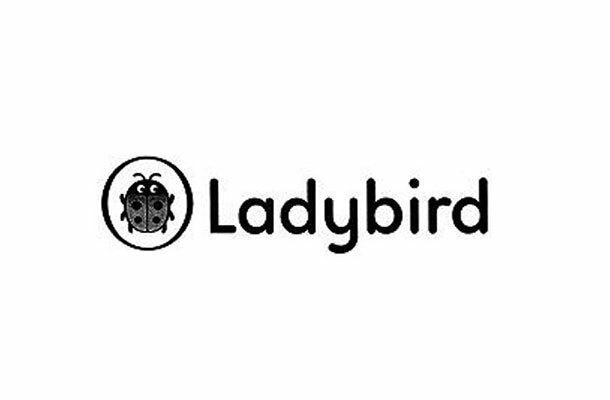 As well as books teaching children how to read and calculate, Ladybird creates apps. Although its graphic style has changed, Ladybird retains an emphasis on style which sets it apart from other publishers. A brand like Ladybird can get stuck. It becomes so lofty that can’t move. Twenty first century Ladybird is focussed on the next new thing, but it hasn’t forgotten its strength – the power of great designs and stories. Its history, indeed its delicate little trade mark, illustrates the fine balance a commercial company must achieve in order to move forward without losing its look. As if to prove the point, Ladybird’s classic designs can be now be accessed through an app - the Ladybird Classic Me App.